A spacious sofa with adjustable backrests. It’s an excellent technological couch. It has a cutting edge design and futuristic lines. Its large spacious seat is created for complete relaxation and comfort. People who seek a place of luxury meeting and pleasure will be enchanted and are sure to fall in love with all available colours. The model has two high soft backrests that could lean forward. The feet are made of stainless steel, and it’s possible to choose their colour. The wood base (optional) completes the exquisite design and the uniqueness of this sofa. 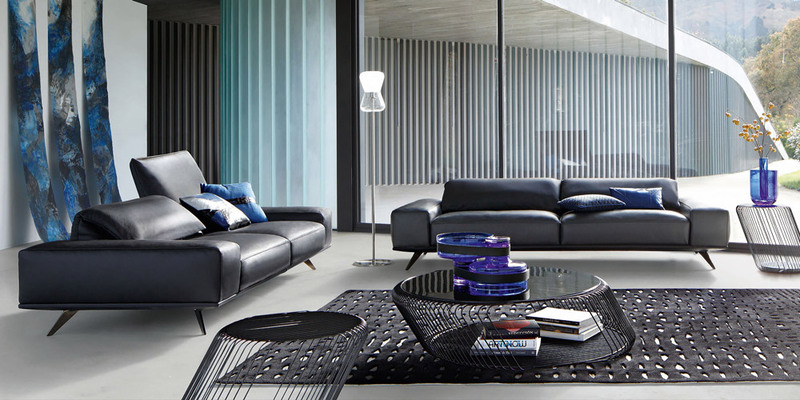 If you want to decorate your living room with in a trendy style, leather sofa INCANTO is exactly what you need.